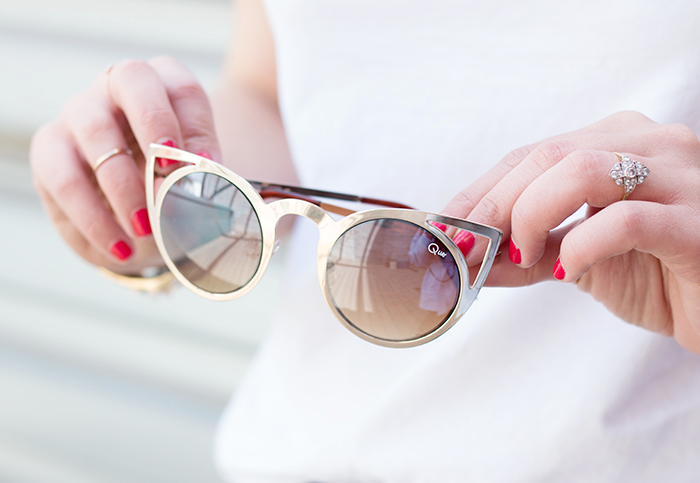 The sun is shining and your feeling fine, so you know what that means — bring on the cute accessories! Any excuse to refresh my arsenal of shoes, bags and sunnies is fine by me, but when it comes to spring this season, I seem to be all about the golden metallics and blush tones (which you've already heard all about here). They just feel so light and breezy compared to their winter counterparts, and I can't stop picking up bits that fit the description. In fact, my Instagram feed may have to go to Pastel Pinks Anonymous if things don't turn around... Imagine.